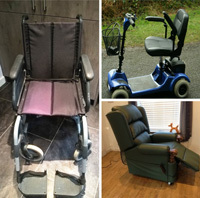 A national website dedicated to the buying and selling of new and used disability equipment. Donate your equipment to help support an assistance dog charity. We are now raising funds for Support Dogs, a charity that provide, train and support assistance dog partnerships for people with autism, epilepsy and physical disabilities. We are thrilled that we have already raised our initial target of £2000 and are supporting a partnership involving Fudge, a Disability Assistance Dog. We are continuing to raise funds for Support Dogs and aim to raise another £2000 to support a second partnership. Previously, we have been proud to raise £10,000 for Guide Dogs, supporting 2 guide dog puppies throughout the first year of their lives. 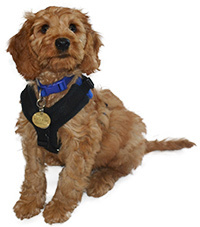 Through donations of disability equipment we are able to keep this website free for people to use and also donate money to our chosen assistance dog charity. The items we collect are cleaned and resold with 25% of these proceeds being held until we have reached our goal. Please contact us if you would like to donate your disability equipment and help keep this website running and raise valuable funds for Support Dogs. List your items for sale quickly and easily. Listing is FREE and there is no need to register. If you regularly sell new or used disability equipment, consider signing up for a free Regular Lister account. Please support us by telling your family, friends and colleagues about our service, making a donation or donating your unwanted equipment to us.